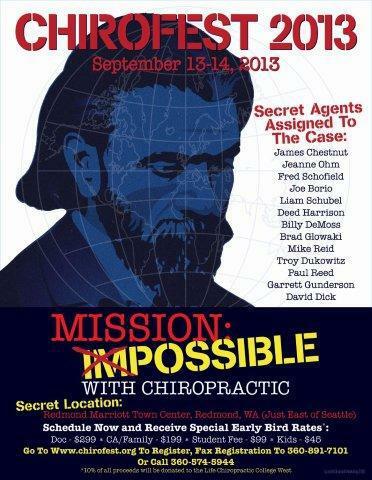 Why was DD Palmer — the founder of chiropractic — writing about ghosts??? And why can we not find these writings today? 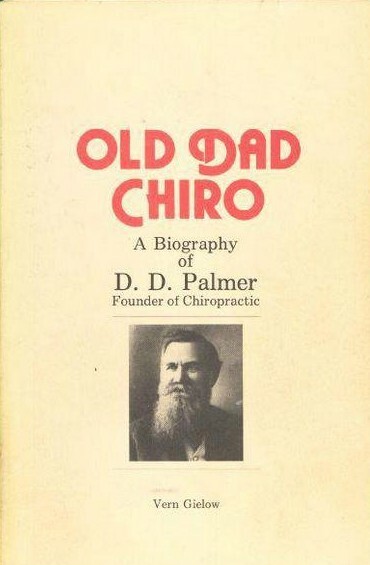 In Old Dad Chiro, Palmer’s biographer, Vern Gielow tells us that the Aledo, Illinois Public Library held only the cover to his A Day and Night With the Spirits. Published in 1880, this text revealed the profitable hoax that a JH Mott played on people wishing to reconnect with their deceased loved ones. This 40-page booklet would have been a very limited run and most likely thrown out with yesterday’s news after a single reading — which accounts for why it is so scarce today. Actual ad for Spirits Book. 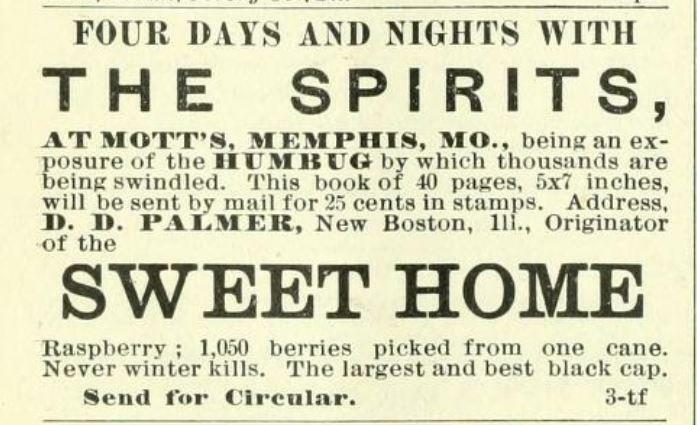 This ad — aside from Palmer’s biography — is the only physical proof we have now that his Spirit Book ever existed. 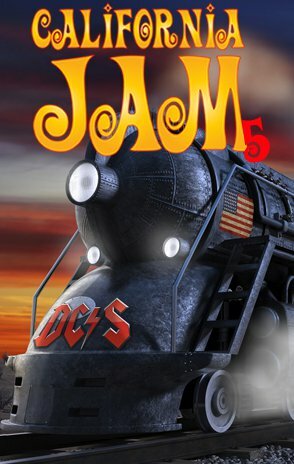 I set out on a hunt to find a copy of it and to find out why DD was writing about ghosts. In December 2012 I contacted the Mercer Carnegie Library, the only public library on record in Aledo. I wished to gain a glimpse of the actual cover of the “Spirit Book.” But like the ghosts that it wrote of, it too had vanished. 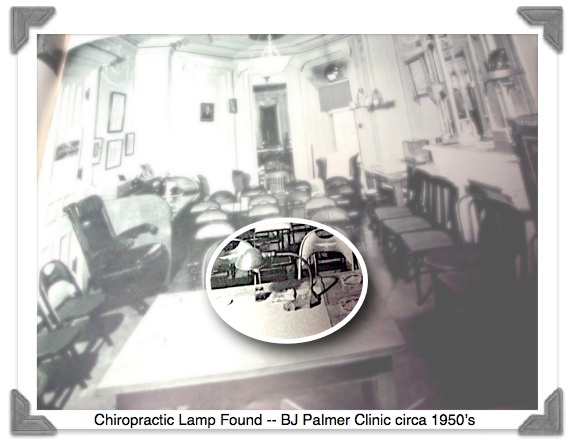 It was no longer there, nor, unfortunately, could it be found it in the archives at Palmer College of Chiropractic. 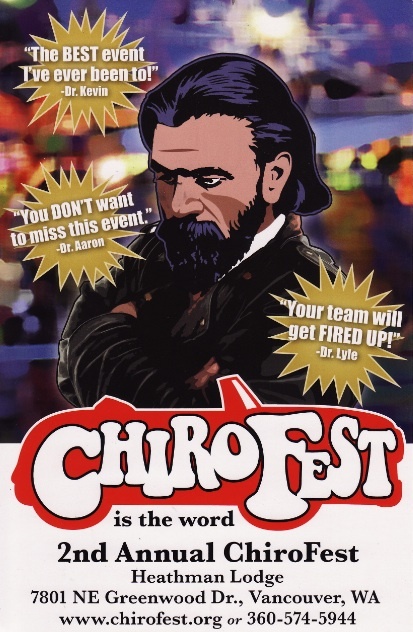 This example illustrates just how frail chiropractic history can be. Although the cover — and book for that matter — would have taught us very little about chiropractic, it certainly would have taught us much about its founder. As chiropractic historians, we view each piece as part of a mosaic to be completed and seen as a whole. We are very fortunate Gielow documented the existence of this book and captured Palmer’s introduction to it. Otherwise we may never have known of its existence. I imagine this is probably close to how the book would have appeared. My own conception of the cover of the spirit book. It was a stroke of luck that I happened to be searching for A Day and Night With the Spirits. 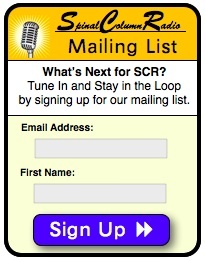 And while my hunt for the Spirit Book may have been a skunk [although this article, thanks to Google and Lamar’s Power of the Podcast, may prove that status temporary], I didn’t come away empty-handed in the least. 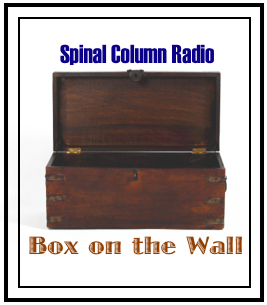 In my quest I came across stacks of articles written by DD during his apiary years — material that, like the example above, is virtually unknown to the chiropractic community and its historians. This treasure trove of newly discovered DD Palmer material has become one of my greatest chiro-picking finds to date, and I excited to announce that I am in the process of compiling it all into a book (now available) entitled Chips From Sweet Home, Writings of D.D. Palmer 1869-1881. The spirit story above is a modified excerpt from it. 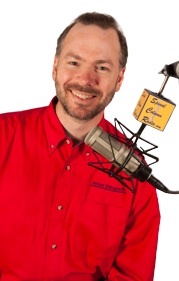 And while the book will not have a heavy emphasis on chiropractic, it will, no doubt, develop a “spirit” of its own as it quickly becomes the “buzz” of the profession.